And it has. We’re now constantly connected via smart phones and other devices to a multitude of information and other digital services. News, weather, sports scores, factoids, traffic flows, health, social media, and even apps to turn on lights and coffee pots, are at our fingertips. Equally dramatic, the traditional idea of commerce has also been turned on its head in recent years. 8.5 percent of all retail sales in the U.S. are now completed online and are growing by 16 percent a year 1. While the internet may have transformed much of our daily lives, there are still some real constraints and potentially unnecessary costs in where, and how, physical products are made and delivered, and whenever financial payments are required between parties. These handoffs create both challenges and opportunities for the future of manufacturing supply chains. One primary concern with buying any physical product is; do you get what you expect? Is the product real or fake? Some companies using new technologies like 3D printing are getting better at copying products, so it’s becoming increasingly difficult for the untrained eye to know, until the product fails prematurely or does not meet its original intent, that it may be counterfeit. The best way you can be sure a product is what you want, is to buy it from someone you trust. As we increasingly purchase items of greater value on the internet, this becomes increasingly important. Methods of payment for products and services could also be improved. Today many of our purchases, transactions, or transfers of funds require some form of intermediary, like a bank or a legal entity. While these may feel transparent, each intermediary usually takes a cut, and can be the cause of unnecessary delays. As we move increasingly to electronic payments, the security concerns associated with people stealing bank details or credit card numbers have also created whole new areas of risk. For companies transacting goods in a global economy, this can get significantly more complicated. Customs, transfers of ownership, drop shipments, VAT Taxes, insurance, and the other realities of global commerce require paperwork, verifications, banks, clearing houses, etc. This adds complexity, and many activities are still prone to manual errors. This is especially taxing for small suppliers. As companies work to reduce the complexities and effort required to manage a global supply chain, they are restricting the number of suppliers they use, which is pushing many smaller companies out of the supply chain. Unless they have some differentiated product, solution, or technology, they are being set aside. In addition, increasing pressure from government regulations, safety, or counterfeiting concerns are increasing the costs a business must incur, making it even more difficult for some companies to compete. Enter Bitcoin, a creation attributed to Satoshi Nakamoto in 2008. Today, Bitcoin is widely known as a volatile cryptocurrency that has made some people rich through its rapid appreciation in value, going from 6 cents in 2010 to over $4000 dollars recently. But what’s really important about Bitcoin for the global future is not the currency itself, but the opportunity that its underlying technology provides for trusted peer-to-peer commerce where no intermediary, such as a bank, is required. It does this through a shared, verifiable, digital distributed ledger called a blockchain. Blockchain is an appropriate name for this underlying technology. 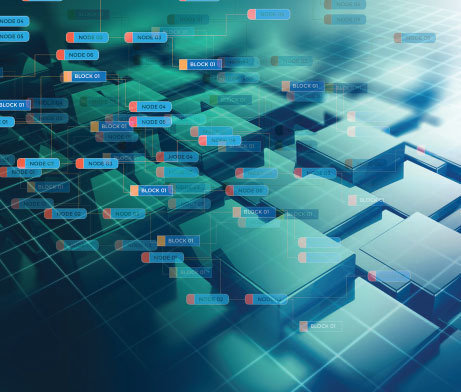 Every group of transactions in the system is recorded in a “block”, which is then cryptographically linked to previous blocks in the ledger – that’s the “chain”. These transaction blocks are validated and committed in parallel by multiple nodes, creating tamper evident, replicated records, which provide full accountability and visibility with a secure audit trail that can verify the identity of every user with digital signatures on all messages. By enabling transparency across trading partners using blockchain, a system of trust can be created that has previously been challenging in the world of internet commerce. You know who you are doing business with, and you know that the payment is designed to be secure. This distributed blockchain ledger now provides the opportunity to forever change the way that companies and industries operate their supply chains. When you buy a house today, an intermediary is usually required to ensure the purchase money gets from the buyer to the seller and that a clean title gets from the seller to the buyer. Both parties trust the intermediary to make the handoff appropriately so purchase risks are reduced. The same approach is used by businesses to manage global transactions, although with more complexity. For example, the multiple activities, challenges, and costs associated with cross-border transactions are apparent when you look at the many intermediary fees involved. These can include an assessment fee, acquirer processing fee, credit voucher fee, system file transmission fee, transaction integrity fee, settlement network access fee, cross-border assessment fee, kilobyte access fee, acquirer license fee, etc. What a mess! Some companies have found creative ways of getting around these fees, such as registering a business branch in the destination country. However this adds additional costs, time, and complexity to the supply chain, and may not be feasible for small companies selling in multiple global markets. Converting from the current financial transactional system that requires intermediaries, to a new system relying on direct peer-to-peer relationships, removes the middlemen. This approach can cut costs, latency, and manual activities significantly. The challenge lies in the need to trust that payments will occur properly within the agreed timeframes and per the contractual obligations. Blockchain can help to do this by making the payments digitally, based on rules established in the contract. This can happen in almost real-time, and help ensure that the payer can and will make the payment. In addition, smart contracts can trigger direct payments with either cryptocurrencies such as Bitcoin, or with traditional currencies through the banks connected on the blockchain network. However, those may not end up being the only ways we pay in the future. It could be that companies will ultimately trade receivables or payables directly using the blockchain too. 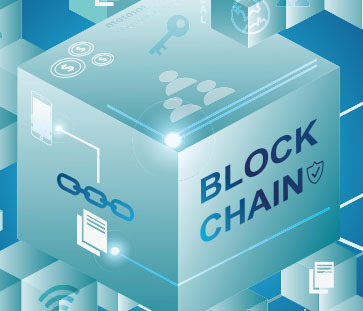 Another opportunity, especially for intercompany requirements, could be to leverage the blockchain ledger to aggregate activity to minimize the number of financial transactions that have to occur. By streamlining and automating the complete end-to-end process using a secure blockchain, the results should be faster processing, lower costs, and a win for the supply chain. The Organization for Economic Cooperation and Development (OECD) estimates that counterfeit and pirated imports account for nearly a half trillion dollars a year in the global economy. In the automotive industry alone, it has been estimated that counterfeiting costs $12 billion dollars in lost sales annually, with a potential impact on up to 200,000 jobs2. Counterfeited products rarely meet the quality standards of the manufacturer, or related regulations and testing. There is no validation of country of origin of either materials or place of manufacture. And they don’t meet our expectations of performance or useful life. This can have a dramatic impact on costs, innovation, and even safety for the manufacturing sector. For example, a recent epidemic of drug overdoses has been attributed to counterfeit Hydrocodone, Percocet, and Xanax pills. These were found to all include Fentanyl, a potent and dangerous drug more than 50 times more potent than Morphine 3. The tamper evident distributed ledger associated with blockchain provides an opportunity to solve these counterfeiting problems — ensuring quality, reducing costs, improving efficiencies, increasing visibility, and improving safety. Using blockchain technology, every transaction throughout the supply chain is recorded in a block that is transparent and secure. As new transactions occur, new blocks are added to the chain with all necessary data or documentation attached. This creates a permanent record for the product’s entire lifecycle and provides complete transparency across every step of the supply chain process. This may include the source of raw materials, country of manufacture, all inspections, condition of any equipment used, certification levels of those doing the manufacturing or inspection, transit methods and duration, environmental conditions such as temperature and humidity, or other factors such as vibration during transit; everything that is deemed important to assure compliance. With the increasing use of connected sensor and IoT technologies throughout the supply chain, updates to the blockchain will enable even greater transparency in the future, providing buyers with complete confidence they are getting exactly what they ordered and that it is in perfect condition on arrival. Supply chain contracts can be complex. Change of ownership, pro-formas, bills of lading, payment terms, quality standards, and letters of credit all create contract complexities. As the documents are often written, they can be long and cumbersome, entangled with legalese, and difficult to execute and change. Smart contracts using blockchain technology are intended to help address these issues. Smart contracts are written in computer code with embedded rules and actions that execute and enforce an agreement. When a transaction occurs, the system, leveraging the rules in the code, automatically generates additional actions such as payments, transfers of ownership, alerts, or other actions without the need for a middleman. Since smart contracts are code-based, it is far easier to change the rules by deploying a new, mutually-agreed version. This approach not only reduces contract complexity and costs, it also provides critical flexibility to help support emerging new business models that aim to take rapid advantage of new market opportunities. However, today’s model of coding smart contracts in general programming languages requires the right skills to translate complex contract conditions into accurate program code. These skills are in short supply right now, which can lead to code bugs that are difficult to discover before deployment. Declarative approaches similar to rules engines can help address these challenges and open up the possibility of business users defining the rules that are then executed in smart contracts. While the expectations of blockchain are high, there are still significant challenges that must be addressed. Ultimately it may be that regulatory control or lack of universal partner acceptance will be the biggest barriers to adoption. However, there are also a number of technological challenges that need to be addressed to support enterprise requirements. Scalability – Interconnecting the many supply chain transactions with multiple partners could create significant scalability challenges. This is already a big concern with Bitcoin as the community struggles to increase block sizes to get past the theoretical limit of 7 transactions/second. Partitioning, parallelization, faster consensus algorithms and lower overhead costs will all need to be addressed to align performance and cost requirements with enterprise-scale expectations. Confidentiality and Security – Controlling access and ensuring security across a diverse network is critical to achieve the benefits of blockchain for supply chain. Permissioned blockchains, based on strong identity management with privacy controls designed to ensure that private transaction data is not exposed beyond the participants and other relevant parties (e.g., regulators), is an important factor in broader adoption of blockchain in supply chains. This can be provided through strong authentication and private transaction channels, as well as granular authorization that ensures only those with “a need to know” can access specific information. Integration/Flexibility – The value of the blockchain increases significantly in line with the number of supply chain nodes or partners involved. Integrations, associated smart contracts, and access to applications must all be easy to implement to ensure the flexibility to adapt to changing requirements. Multiple organizations must also be able to join a blockchain network from various cloud and on-premise environments. This so-called hybrid model is a key enabler of the network effect. 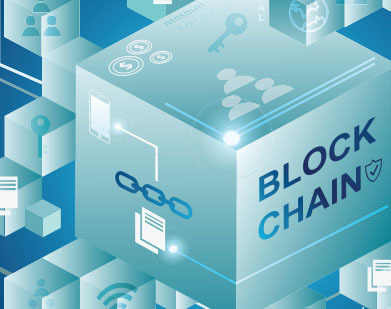 Ultimately, the initiation of blockchain as a component of your supply chain solution must enable, and not constrain, your business transformation. Recognize that blockchain is a new technology and will evolve. Do not lock yourself into your or your supplier’s pre-conceived notion of how it should work. Adjust early as new developments arise. Start small with a well-defined scope based on solving a particular business problem. Resist the temptation to “boil the ocean”. Don’t embark on a complete business transformation without first proving the value and understanding the costs. Limit the number of trading partners. While this minimizes the potential benefits, it also increases the speed and reduces the costs associated with making changes based on key learnings. Choose your technology partners wisely. The benefits of blockchain will only be achieved with tremendous volumes of data. Ensure you are comfortable that your technology and partners can scale and deliver on enterprise-grade requirements to enable you to move seamlessly from a pilot to a production deployment. Choose your implementation partners wisely.At this early stage, understand that many projects will be leading edge and will be joint learning experiences for all partners. Be committed and involved. This is not a “partner-in-a-box” solution. The eventual outcome will likely require significant business process transformation. Understand what is necessary and be prepared to make changes as you move forward. Develop and adhere to a well-defined achievable plan. Hold the entire team accountable to achievable goals. Success will depend on the technology, partners, and your own resources all working together to succeed. Lack of accountability or performance by any of these three could result in failure. So does Blockchain for the supply chain change everything? It’s still early days, but there is a good possibility that it will. And as any new technology evolves, those who invest early will be the ones who help set the rules. Blockchain for the supply chain has the opportunity to significantly transform many aspects of the way companies do business in the future. If the blockchain vision holds true, supply chains will become more efficient and automated, costs will be reduced, and an entirely new system of business trust will be enabled.